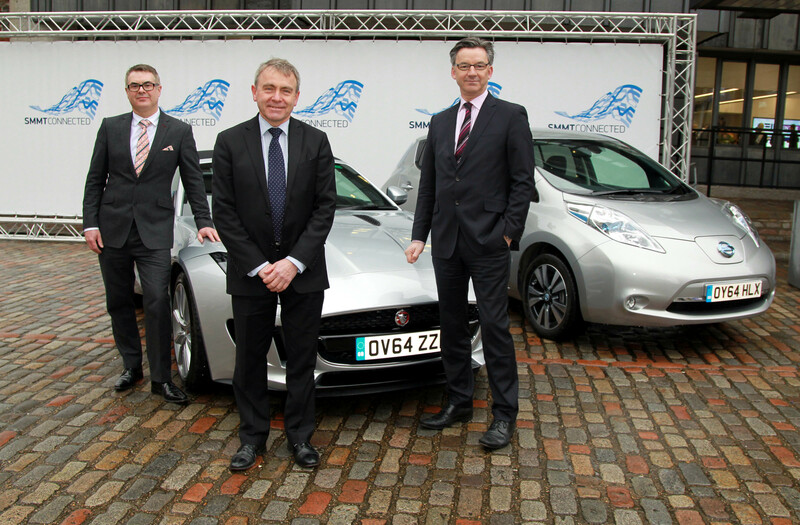 London, 26 March 2015 New research commissioned by SMMT has found the development of connected and autonomous vehicles will help generate 320,000 jobs in the UK, delivering huge benefits to society and the economy. In the first ever comprehensive analysis of the UK opportunities provided by this new technology – Connected and Autonomous Vehicles: The UK Economic Opportunity – KPMG has found that these new vehicles will deliver a £51 billion boost to the UK economy and reduce serious road traffic accidents by more than 25,000 a year by 2030. Crucially, it also forecasts the UK will be a global leader in the production of this next generation of vehicles. The figures will be announced today at SMMTConnected, the first ever industry-wide event in Britain to explore the opportunities and challenges ahead and demonstrate how the UK automotive sector is already developing the cars of the future. Leading experts from BMW, Bosch, Ford, Jaguar Land Rover, Nissan and Volvo will champion their efforts to develop tomorrow’s intelligent vehicles and discuss how society as a whole can benefit from this latest technology. Transport Minister Robert Goodwill MP and Ed Vaizey MP, Minister for Digital Economy, will each provide keynote speeches at the event, which will be attended by 20 vehicle manufacturers from across the UK and more than 300 representatives from insurance providers, telecoms, academics, local government and software providers. SMMT will also highlight the latest work being carried out by the UK automotive sector in a broadcast video to be released today, which will include interview clips from Chancellor George Osborne. On display at today’s event will be some of the latest connected innovations, including vehicles from BMW, Jaguar Land Rover, Mercedes-Benz and Nissan. Some cars already on the market feature technologies that link the car with the driver’s phone, enabling remote door locking, controlled heating and air conditioning functions. On the move, meanwhile, self-parking systems and anti-crash sensors are already making journeys safer and easier. At the event today, industry experts will also approach issues to arise from this new era of automotive, including new road infrastructure, liability, data and privacy, and cyber security. The UK has a unique opportunity to lead the way in developing the connected and driverless cars of tomorrow: it has a two-year head-start on other European countries, not having ratified the Vienna convention some decades ago. This means on-road driverless car pilots can take place without the need for primary legislation. Driverless car trials have already started in four British cities this year, and Chancellor George Osborne last week also announced a further £200 million government and industry investment into driverless research, development and demonstration in the UK. Click through to download the full KPMG report, Connected and Autonomous Vehicles: The UK Economic Opportunity.